House of the Star by Caitlin Brennan (Starscape/Tor, November 2010). Invisible Things by Jenny Davidson (HarperTeen, November 2010). - I actually gave a gasp of pleasant surprise when this one showed up. Funny story, I had the chance to grab a signed ARC at BEA and I didn't realize what the book was, so I passed on it. And then KICKED MYSELF afterward. I really enjoyed The Explosionist, so I'm excited for this one! The Youngest Templar: Orphan of Destiny by Michael P. Spradlin (October, 2010). This is the third book in a series, apparently. 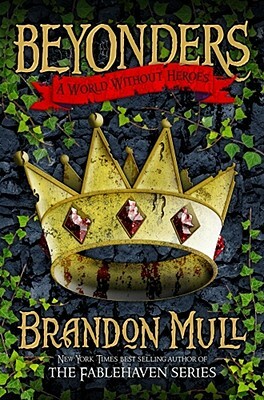 A World Without Heroes (The Beyonders #1) by Brandon Mull (March, 2011). This is the first book in a new series by the author of the Fablehaven books. Those books fly off the shelves at my library! So, there was my fantastical mailbox this week! What exciting things showed up in your mailbox?